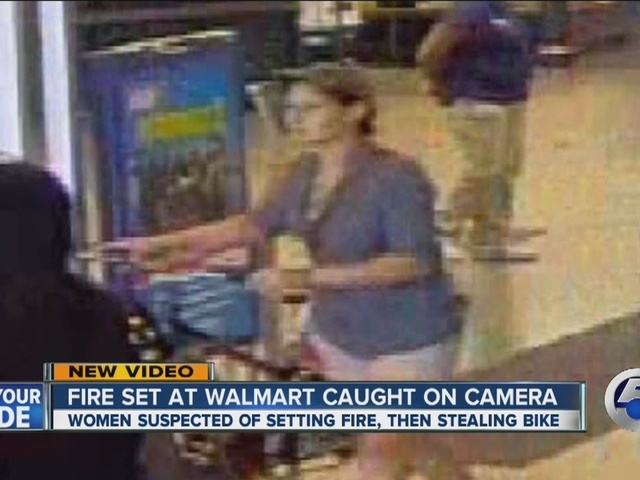 South Euclid police are looking for a woman they believe set a clothing rack on fire in order to steal a bicycle. According to police, the woman went into Wal-Mart last Friday, set a children's pajama clothing rack on fire and then walked out with a bike. Police think the woman set the fire as a distraction. If you know the identity of the woman you are asked to call police at 216-381-1234.